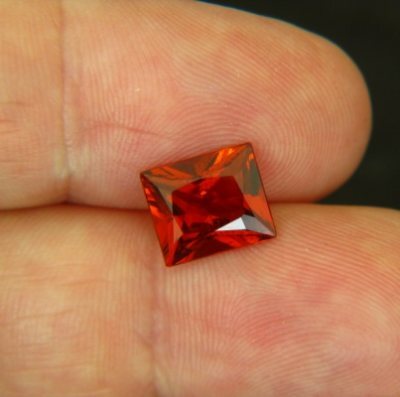 Comment: Finest hessonite from Sri lanka in the most luxurious of all cuts: princess (recut from 6 carat cushion). Earthy and yet intense hue. Typical hessonite swirls. No inclusions. 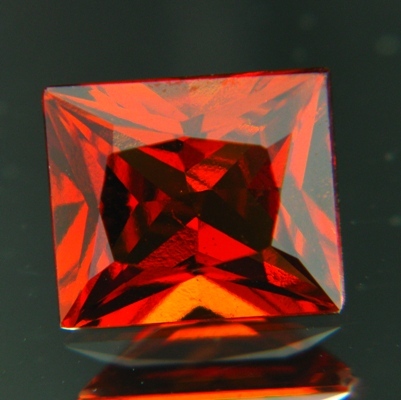 Hessonite comes loaded with ancient myths and has been a famous healing gem for millennia. Here an especially nice specimen in best shape.